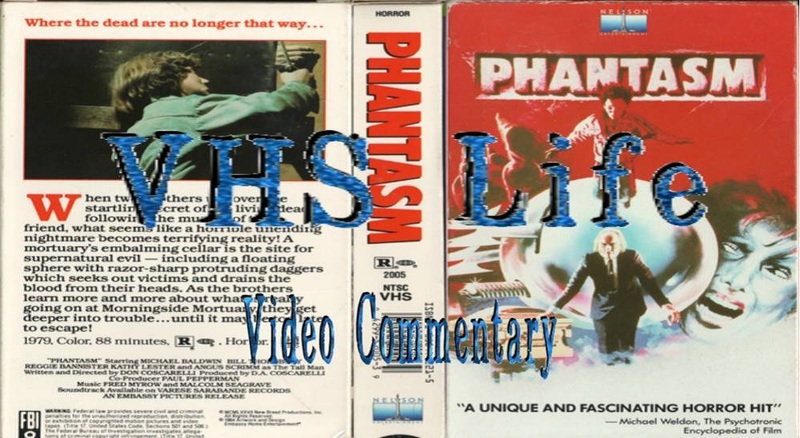 VHS Life: "PHANTASM VHS Video Commentary John and Michael J are back with another VHS Video Commentary! This time they're watching the classic PHANTASM from 1979 on VHS and you can experience it with them! Watch and listen as they give insight on the film, joke inappropriately, and so much more! This is truly something you don't want to miss! 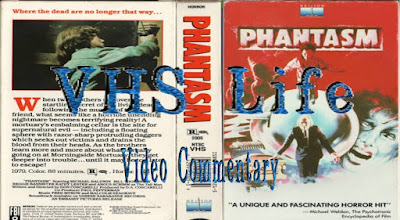 If you would like a DVD copy of the VHS version of PHANTASM that you can watch with or without the VHS LIFE Commentary, send us an email at vhslifepodcast@gmail.com and we'll set you up with one.